Are you looking for a fast and reliable network storage which will allow you to use streaming technologies, will serve automatic backup and will offer remote access? You should be interested in Netgear ReadyNAS Ultra 4 devices, especially Netgear ReadyNAS Ultra RNDU4220. 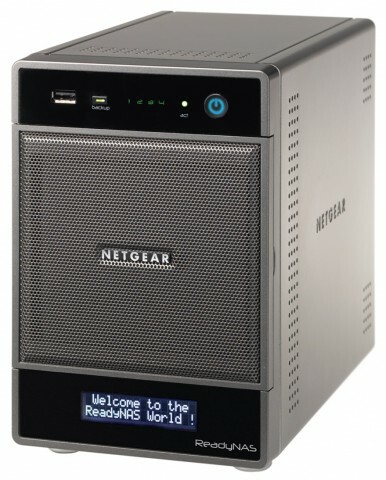 Netgear ReadyNAS Ultra RNDU4220 is similar to other NAS devices. It looks like a small computer with easy access to the drives using the opening front panel. This device is powered with dual core Intel Atom 1.66 GHz and 1 GB DDR2 RAM. There is a place for up to four disk drives; Netgear ReadyNAS Ultra RNDU4220 comes with 2x 2 TB disks installed in X-RAID2. So its total storage capacity is nice 2 TB. The front panel gives you easy access to the disks. If needed, you can add new drives while the device is running. The same applies for the drives swap. When you add new drives, the storage is automatically expanded to them thanks to the X-RAID2 technology. Netgear ReadyNAS Ultra RNDU4220 could be connected to the network via two Ethernet connectors on the rear. There are also two USB slots on the rear and one on the front panel. The USB can be used to connect the printer and share this printer to the users in your network. The bottom two rows LCD gives you comprehensive information about the device status. When you first connect the device to the network, it will get the IP from your DHCP server and you can run the installer. 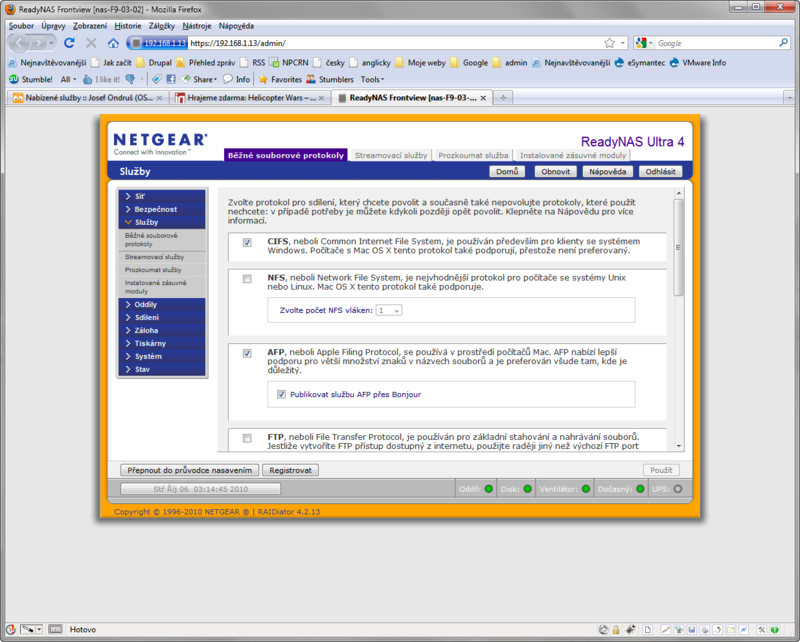 Netgear ReadyNAS Ultra RNDU4220 could be managed via the provided RAIDar utility or using the website administration tool. The RAIDar utility gives you the basic information about all Netgear ReadyNAS devices discovered in your network, while the web administration tool allows you to fully manage your device. The website administration has two modes, Setup Wizard and Advanced mode. Using it you can set up the network connectivity like IPs, workgroup, network name or the route. The route table can be used to optimize network connectivity when using both Ethernet connectors. Netgear ReadyNAS Ultra RNDU4220 is a NAS offering many file and multimedia protocols. They include CIFS, NFS, AFP, FTP, HTTP, HTTPS and Rsync which is good for creating incremental backups. The NFS, FTP and Rsync are not enabled by default. For multimedia use you should be interested in the streaming capability. Netgear ReadyNAS Ultra RNDU4220 allows you to use ReadyDLNA for streaming videos, music and photos to the DLNA/UPnP devices. It also offers streaming to the SqueezeBox players, allows sharing the music files via the iTunes Streaming Server role. The configuration of the Netgear ReadyNAS Ultra RNDU4220 itself can be saved and restored via the website administration. But we are interested in the backup facility for our computers and devices. At first, when you connect any USB storage to the Netgear ReadyNAS Ultra RNDU4220, its content can be copied to the selected folder on the NAS. The only you have to do is enabling this feature in the administration. 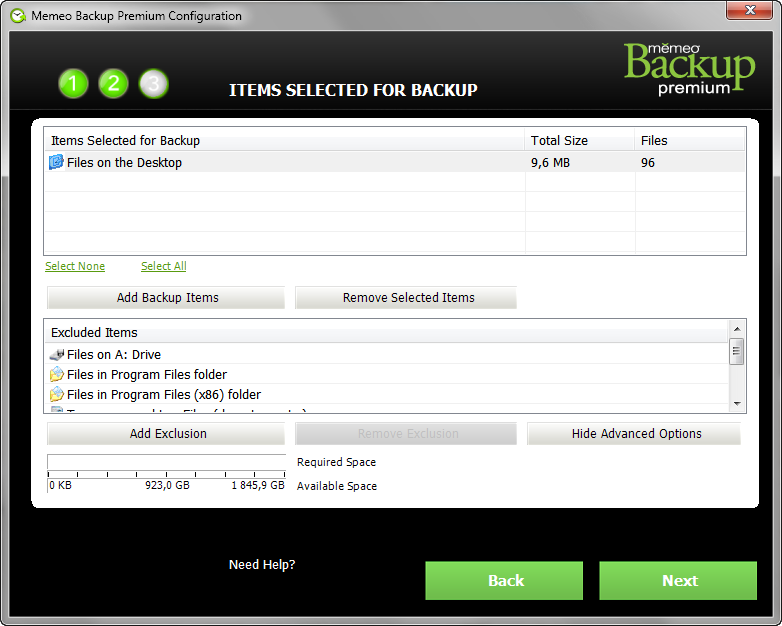 Then the content from your portable disks will be easily shared and backed up. 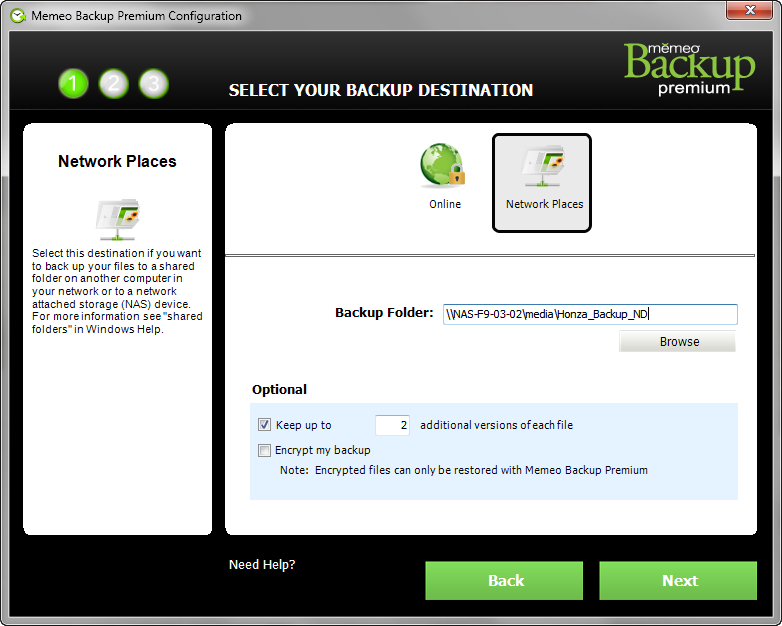 For a classic backup, the Netgear ReadyNAS Ultra RNDU4220 is provided together with the Memeo Backup Premium software. Setting up the backup needs three simple steps – selecting the backup destination (the network folder on your NAS or the Online storage you will also get with 1 GB size), selecting the files to back up and saving the backup plan with the desired name. That’s all and you can start the backup. The Netgear ReadyNAS Ultra RNDU4220 isn’t the closed box. Its features can be easily expanded using the updating mechanism and downloadable add-ons. For example, you can download the Orb add-on and stream your videos, photos and music to the mobile devices. The add-ons uploading is very easy. Just go to the System > Update > Local and upload the downloaded BIN file from your computer. Netgear ReadyNAS Ultra RNDU4220 will check it and when found compatible, it will allow you to perform the update. Then you will see a new item in the administration to set up this new add-on. There is also a tutorial for creating nice hacks allowing you to use the SSH access and enabling PHP support on the Netgear ReadyNAS devices. Unfortunately, it didn’t worked for me on Netgear ReadyNAS Ultra RNDU4220, but you can give it a try and find the right version of needed add-ons. Netgear ReadyNAS Ultra RNDU4220 is useful network storage for homes where you will appreciate its multimedia streaming functions. The big storage together with the backup software provided turns the Netgear ReadyNAS Ultra RNDU4220 into the useful backup machine. Only one really annoying thing I have found while using the Netgear ReadyNAS Ultra RNDU4220. It’s the big noise coming from the rear fan.